Indian Vanity Case: How Cute Are These??!! Hi Cynthia, thanks for visiting.. gassing animals is cruel indeed :( Those tweezers are so blinged out- cute! @LPS (Pinky)..thanks so much. I visited yr blog but couldn't post my comment..there's some prob with the word verification. omg! 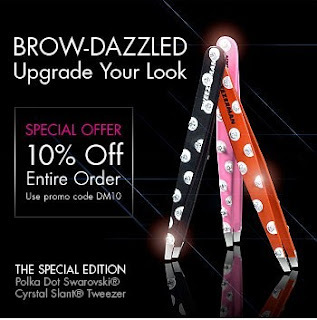 swarovski tweezeers! lol...so innovative! ah! i want the pink one~ so cute! Kuri..I want the pink one too!! !